Hmmm, is there anything that David did not do? David coveted his neighbour’s wife. He incited that same neighbour’s death. He deceived himself, as well as others. David coveted his neighbours wife. David was comfortable in his own sin. Thank God for the life of Nathan. Every believer needs a friend like Nathan the friend that rebukes in love. 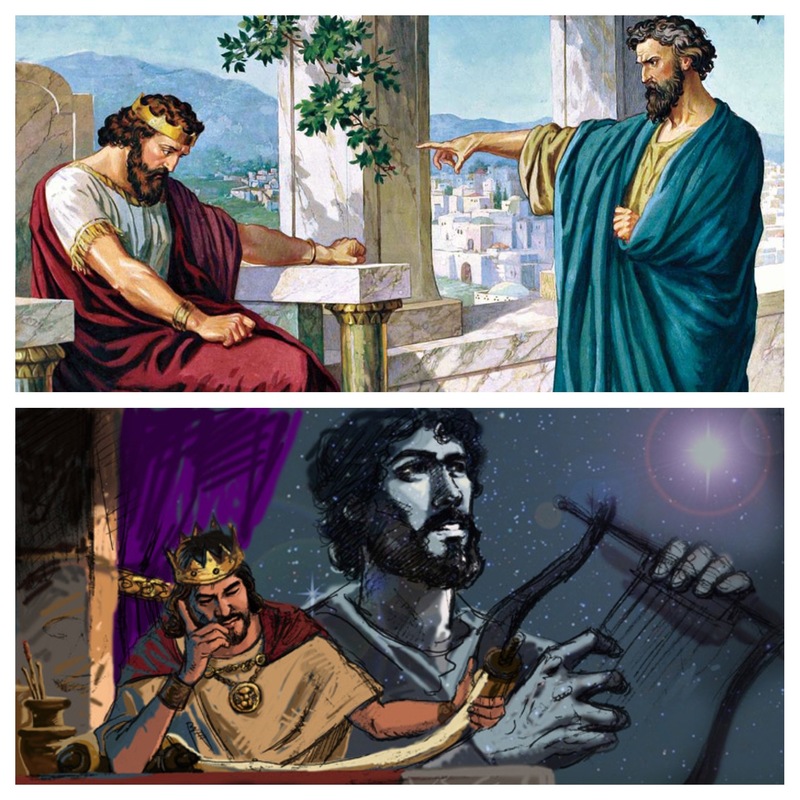 Nathan respected David, but his respect for David did not hinder him from correcting David in love. David pretended that he had done nothing wrong, in fact it got to a stage whereby he did not see that what he had done was wrong. That’s how it is when we become comfortable in our own sin. David became a pretender, a deceiver amongst men, but he could never be a pretender before God. Whatever is done in secret The Lord will surely bring to Light. David could deceive himself, but he could never deceive God. 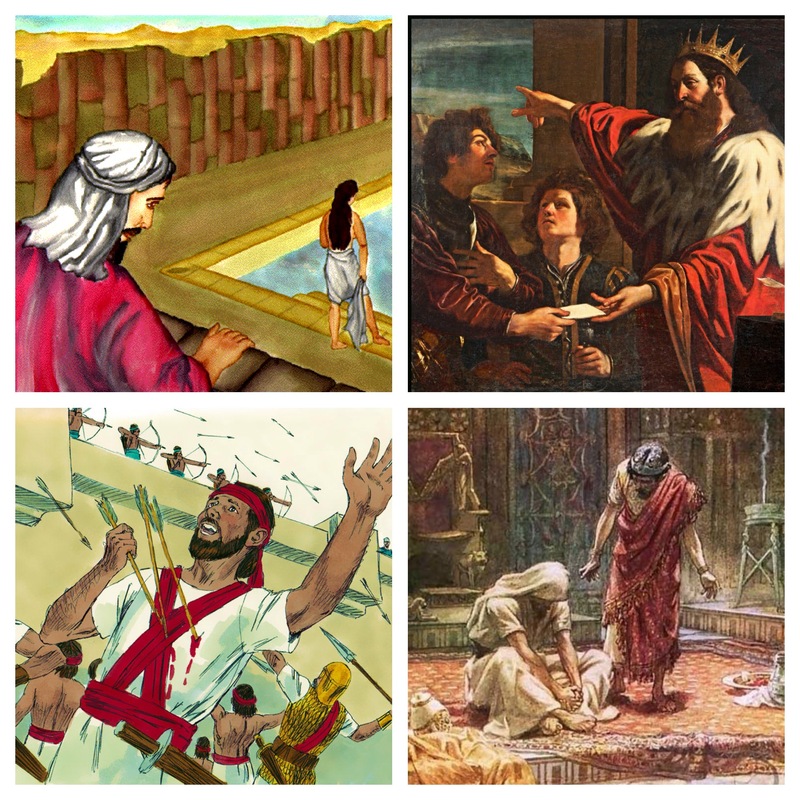 Look at the calamities that befell the house of David because he was so far gone in sin, and it could’ve even been worse if God had not sent Nathan. When David’s sin was brought to light, he then realised his wrong. Before David’s sin came to light, he unknowingly rebuked himself thinking that it was somebody else. It is only by His grace, mercy, and loving kindness that we have become the righteousness of God. It is only because of the price that JESUS Christ paid that we are alive today. It is only because of the price that JESUS Christ paid that we are alive today. David was not open with God, he was not transparent before Him. After he committed adultery; he murdered, and lied. David did not repent after he had sinned, he did not even realise that he did until The Lord rebuked, punished, and corrected him. That’s how strong of a hold sin can have on us, we must not let this be. We must not allow ourselves to get so deeply caught up into sin. We allow ourselves to get so deeply caught up in sin when we begin making excuses for sin, and justify it. No one is perfect, but we must search our hearts and return to Jesus, the Heart of our worship. Why was David still described as a man after God’s own heart? Well it’s because when David realised his wrong he repented, and he worshiped. We are still yet to discover the power of worship! We still do not as of yet understand how much, our worship MOVES God. David, just like you and I deserved to be accused by satan the accuser. David, just like you and I deserved eternal condemnation. We better thank God for His great mercy, and for His grace. Every believer needs a friend like Nathan, the friend that rebukes in love. 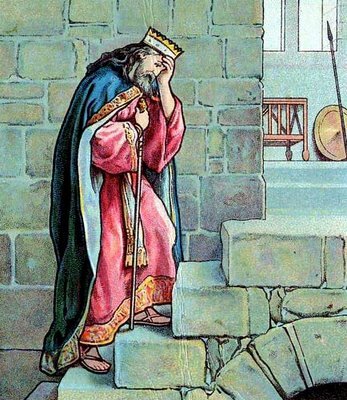 King David was a very powerful man in that day and age, nobody dared to talk to him in such a way. Nathan was a part of David’s inner circle. Nathan was not afraid to speak the Word of God which is Truth. When you are surrounded by people that speak the Word of God, then you can never be lied to. In a world full of deception, believers need to be surrounded by people of Truth. David was comfortable in sin, until Nathan. Pray for your Nathan, for it is so easy to become entangled in your own sin. When you have a friend like Nathan, you need not pretend. You can be transparent, and open. There are too many pretend believers, that are just dwelling in sin. May the Lord rebuke us, forgive us, restore, and help us. Even though David was described as a man after God’s own heart, he was human. He made mistakes just like you and I. What matters, is what you do when you make that mistake. Do you justify it, or do you turn away from it? The longer you justify sin, the longer you will remain in sin, and the shorter your life will be. That’s the seriousness of sin, and the danger of deception. Remember satan came to steal, kill, and destroy. It really does not matter who you are. We need to search our hearts. We need to pray for one another. God punished David, but He did not kill him. Even when God punished David, David still worshiped God. Would that be your response? David knew that without God he was nothing. Do not stay down any longer. Get up, and worship God again. That’s enough to confuse the enemy. When you worship The Lord, God will restore to you that which was lost. God hates ALL sin, not some but ALL. Be very careful not to justify sin, for from the moment you begin to justify sin, is when you start digging your own grave. Strive to live a life that’s pleasing to God. David was a man of power, affluence, and influence do not allow such things to lure you away from God’s presence. You can never be bigger than God, and neither can you be above His ways. Do not allow sin to turn into iniquity. I know how difficult it can be for believers to confide in one another, but there is that someone that you can agree with. Do not allow sin to escalate and elevate in your life. For David it started with coveting his neighbour’s wife, which finally led to murder. Be careful to not let sin control you. There were people around David who most probably did not see anything wrong with David’s sin. Pray for friends that will not always say yes to you. The friend that agrees with your sin is not your friend, but your enemy. We need to be rebuked in love. There is no Christian that gets it right all the time. We need to be honest, there is no Christian that is not facing challenges. We have just got to be honest, you know exactly what it is that you are struggling with. Don’t hide from God, say it, let Him handle it. It’s true that some battles we face we just cannot fight them alone. Do not be afraid, ashamed, nor dismayed. I If an adulterer, a murderer, and a liar could repent and be forgiven. How much more you and I? How long will you dwell in self pity? The truth is He is ready when you are. He is ready to blot out your transgressions if only you repent. Think about it, is it worth pretending you have it all together only to really be so far away from God? Nothing is worth being cast out from the presence of God. David knew that, and that is why He repented. When you repent, it shows that you fear God more than you do man. When you fear God, then you won’t care what man thinks of you but what God thinks of you. After all, it is God that we will have to answer to. There is now therefore no condemnation for the sinner that repents, but the sinner that does not repent shall be condemned. David’s sin started with his mind. Pray for The Lord to renew your mind. Pray for your thoughts to be soaked in the Blood of Jesus. Pray for your mind to be aligned with The Word of God. Pray for His Fire to purify your heart, and mind. Pray for a clean heart, a heart that worships God in Spirit and in Truth. Don’t allow satan to deceive you, it is never too late to repent. It is late when satan destroys you, do not let this be you. Jesus overcame death so that we might live. No matter how far of you’ve gone, just repent. Jesus loves you, and is ever interceding for you. Finally, again I want to encourage you to pray for a friend like Nathan, the friend that rebukes in love. Every believer needs a friend like Nathan. A friend that will tell you the truth, a friend that will rebuke you in love to get right with God. Do not let the chances that God is giving you pass you by. Be grateful for a God sent friend like Nathan. Do not let your Nathan pass you by. We need to set a boarder officer at the door of our mind and heart🔥💯🙏 Pst Zino Genesis. Psalm 26:2. Examine me, O LORD, and prove me; try my veins and my heart. Jehovah turned my life around. He makes a way where there seems no way. As usual I wasn’t expecting this message, but we thank God for His Word. Be encouraged, repent, and get back up again.